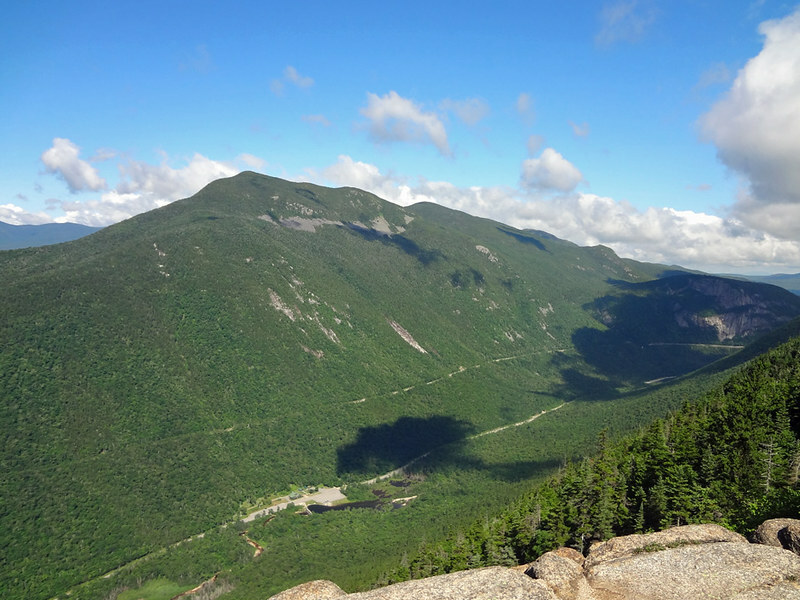 Section hiking the New Hampshire Appalachian Trail, take two. After our first misadventure on the trail, where we foolishly tackled more than we should have and succumbed to dehydration, we decided to play it smart the second time around and only take on a modest nine miles on day one. We intentionally got off to a late start to ensure we didn’t become our own worst enemies, arriving at the trailhead close to 11 AM. The ascent of Smart Mountain was quite easy on the second go around, the majority of the trail seems more fit for a mountain bike than hiking boots. There’s a decent lookout at Lambert Ridge and after a lull between the two peaks where there’s some elevation loss (I don’t know about you, but this is my biggest pet peeve on the trail), the final ascent of Smart Mountain presents a rocky and relatively steep stint. 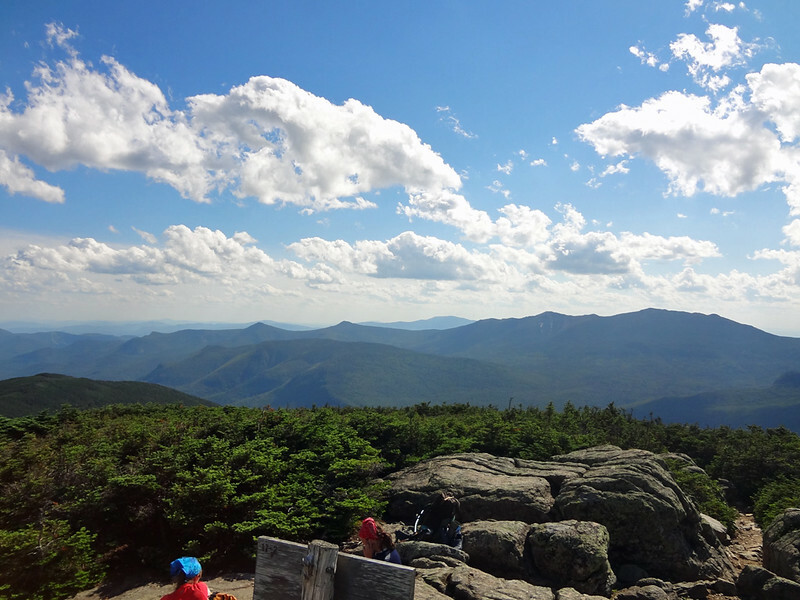 The summit is below treeline, though, so you’ll have to climb the fire tower reap the rewards of a view. If you’re a northbound hiker with a complex that SoBos always get an easier ascent, Smart Mountain isn’t the cure. 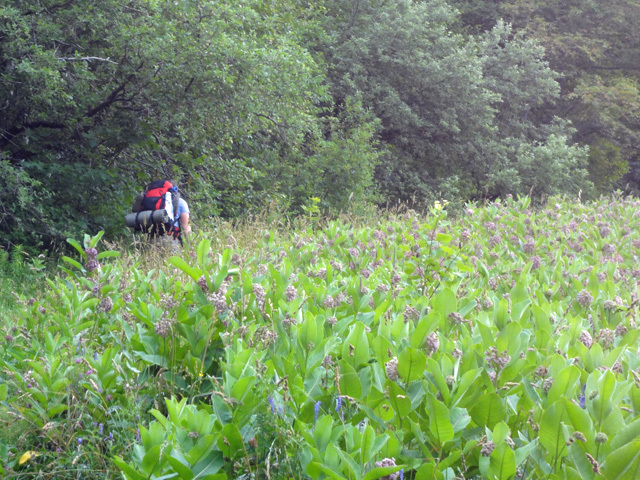 The northern descent (shown above) is as gradual and easy going as the Appalachian Trail gets. On the plus side, thru hikers looking to quickly rack up miles can get a quick four in here with minimal effort. The trail bottoms out at South Jacob’s Brook, a great spot for refilling. From here we continued along to Eastman Ledges where the climb was short with some fun terrain. We arrived at Hexacuba Shelter a little before dusk. I wish I’d taken a picture of the shelter, it’s one of the more interesting ones, but you can get a glimpse of it on this site. The shelter easily sleeps eight, but we typically like to reserve the shelter space for thru hikers, so we looked around for tent spots. Unfortunately there are only two at this shelter, and the one on flat ground was already taken. In what is becoming an epidemic of bad decisions, we set up the tent on the slope, ensuring a night of sleeping pad pull-ups. The thunderstorms that passed over also weren’t conducive to a good night’s sleep. We’d met a hiker the day before who’d adoringly referred to Mt. Cube as “Mt. [naughty word] Cube,” which really had us jazzed up to relinquish the warmth of our sleeping bags, pack up the wet tent and hit the trail. The climb was rocky in spots, and slippery from the night’s rain, but I don’t recall there being anything overtly challenging about it. On the summit of South Mt. Cube, elevation 2,909 feet, we enjoyed a couple brief breaks in the clouds, but overall our time on the mountain was spent enshrouded in a thick fog that gave the mostly evergreen forest a surreal, dream-like presence. From Mt. Cube the trail settles back into the easy going. The long downhill coasting to N.H. Route 25 A parallels a brook for a good distance and there are numerous stealth camping opportunities such as the following. After a few casual up and downs across Ore Hill and Mt. Mist, we arrived at the Jeffers Brook Shelter having logged approximately 16 miles for the day. For anyone passing through, the Jeffers Brook Shelter is worth the stay, much better than the Ore Hill Shelter, if you can time your hike appropriately. The shelter is well maintained and there’s ample tenting space both around the shelter and at a lower level adjacent to a trickling brook. There’s also the much larger Jeffers Brook that on a hot day looked to offer a good swimming opportunity. The only disconcerting aspect of the Jeffers Brook Shelter was the posting of this sign, which, kids, is the cause of trail nightmares. Fortunately there was a good crowd of people at the shelter, permitting us to sleep easy knowing we likely weren’t the odds-on favorite for being the most appetizing campers. From the shelter the AT hits the pavement for a bit following High Street to the head of the Glencliff Trail, which begins by winding through a couple of small fields. While it’s fairly straightforward on which way to go (follow the most worn path) there are a few unmarked intersections, so it can be a little confusing. We were fortunate in our climb of Mt. Moosilauke to meet up with a couple thru hikers and share in their excitement. For them, the Moose is a significant waypoint. They’ve spent the last 1,786 miles hearing and thinking about New Hampshire’s White Mountains, and at 4,802 feet Moosilauke represents their welcome mat. As far as introductions go, the Glencliff Trail’s ascent is a cordial one. It’s a healthy climb that’s steep in sections but not overwhelming. 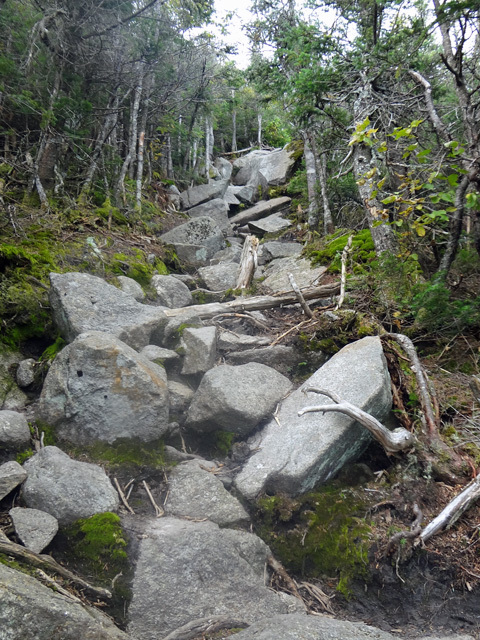 There’s plenty of rocks and roots to show the trail’s northeast colors, but these, too, are a painless preview to what New Hampshire and Maine have to offer. For those with the northbound difficulty complex, Mt. Moosilauke is much easier for NoBos; however, the irony here is that SoBos are better off ascending the Beaver Brook Trail than NoBos are descending it, especially in inclement weather. But we’ll get to this in a minute. 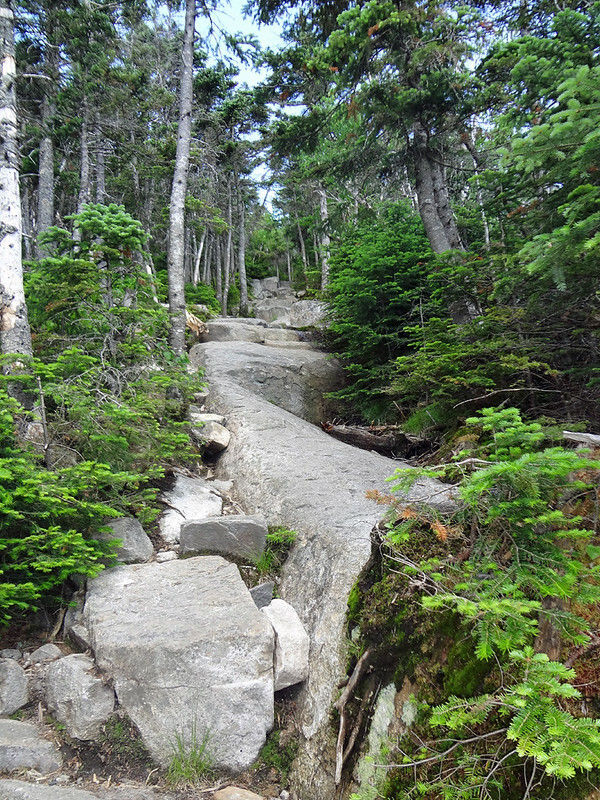 Three miles and 3,000 feet into the ascent the AT connects onto the Moosilauke Carriage Road. This path is as easy as it sounds. A former road to the summit hotel, it now takes hikers through the mountain’s krummholz and into the open for the final leg to the top. The summit of Mt. 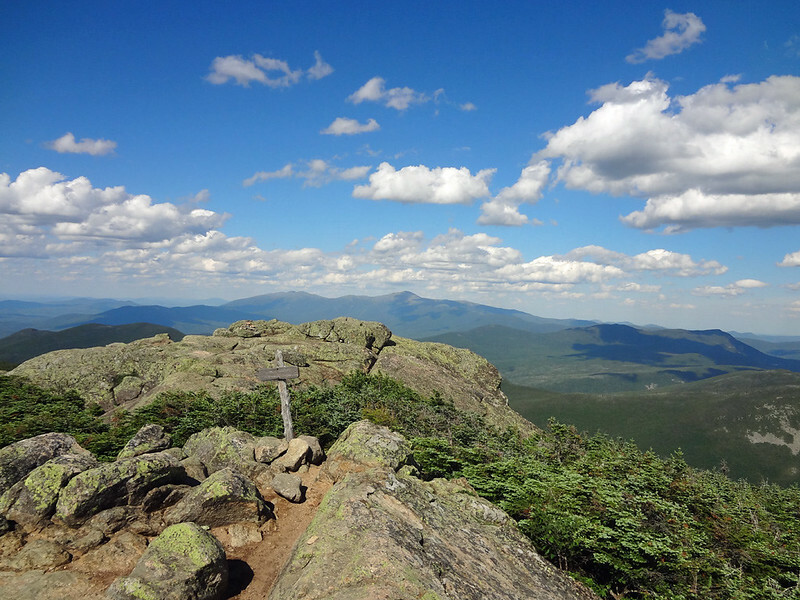 Moosilauke is wide open offering impressive 360 degree views. It’s an interesting peak in that it use to house a summer hotel and a DOC cabin, both of which are now history but remnants of their foundations are still apparent. The Moosilauke summit is also a three-way trail intersection, so take care in bad weather to make sure you’re exiting on the correct path. We descended via the Beaver Brook trail, which after the Beaver Brook Shelter gets extremely challenging. The Beaver Brook Shelter is relatively new and I imagine a fun place to spend a night on the trail. For us the view from the shelter’s stoop of Mt. Lafayette, Mt. 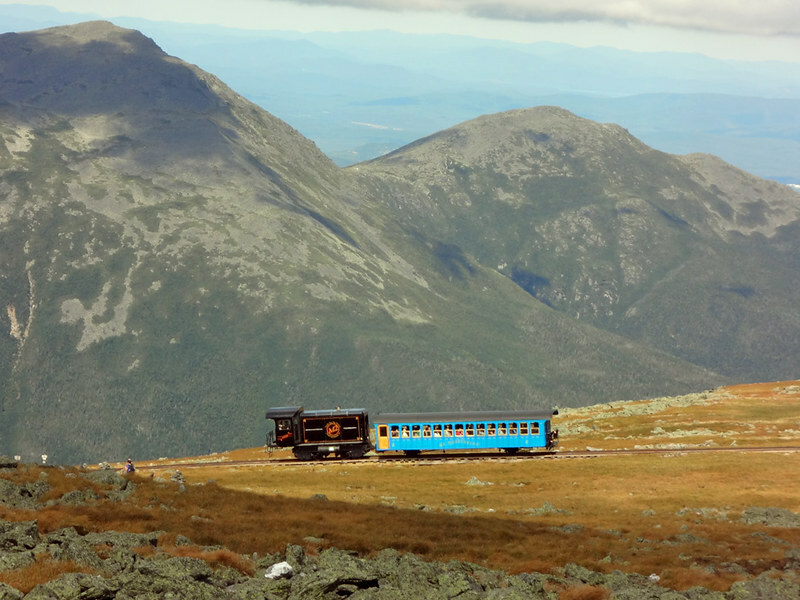 Lincoln and Franconia Ridge, were well worth the pit stop. Had me wishing I could stay to admire it at sunset/sunrise. Shortly after the shelter the trail parallels Beaver Brook and the Beaver Brook Cascades. 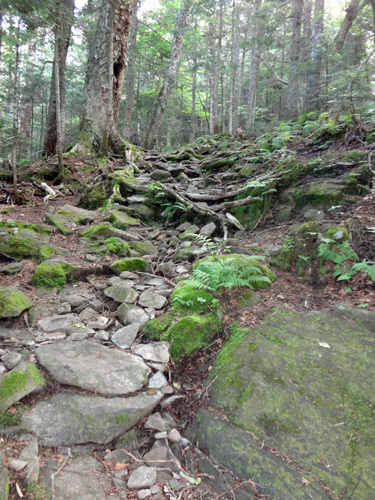 A memorable stretch of the New Hampshire Appalachian Trail, the footpath traverses the edge of the brook’s ravine, requiring hikers to exercise caution to ensure the memory is a good one. 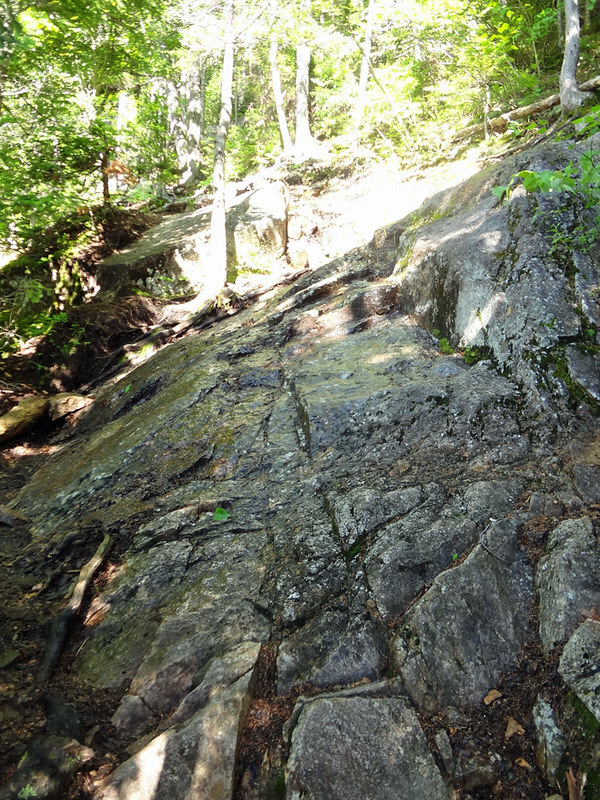 The trail itself is extremely steep and mostly exposed rock, making it a lot of fun. Unlike me in the picture below, you’ll probably want to pack away the trekking poles as there are plenty of metal rungs and wooden steps to hold onto. The wooden steps are helpful but I have to imagine they’re slippery when wet. Adding to the complex, SoBos are pre-warned.